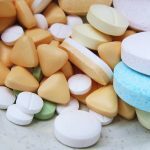 If this is a new reality for you and your family due to allergy concerns, than there are plenty of hoops that you’ll have no choice but to jump through related to a seemingly endless list of foods that contain by-products of soybeans. Implementing a soy-free diet can be a challenge. We’ll start with a list of ingredients that must be avoided, along with an explanation of how you should go about your search when it comes to soy-free products. 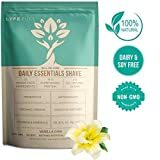 As a bonus, we’ll even have plenty of choices that are also dairy and soy-free meal replacement shakes, as well as pointing out what other potential allergens each product avoids entirely. If exercising is essential to your daily routine and you want to keep some meal replacement shakes in your diet, than look no further than our list of eight soy-free meal replacement shakes that should check all of the boxes. First, let’s look at what you should be sure to avoid if you’re new to the whole soy-free thing. It’s an important distinction that extends into the meal replacement shake world, so let’s take a quick look. This may seem obvious, but stay far away from anything with “soy” in the title. It isn’t just limited to soy sauce and soy flour and compounds like that, but also ingredients such as soy protein concentrate, soy protein isolate, and so on. There are also plenty of ingredients that have a chance of including soy. Again, depending on the severity of the allergy, we would always recommend a better-safe-than-sorry approach. Such ingredients include hydrolyzed plant protein, vegetable broth, vegetable starch, different types of flavoring, including natural flavoring, and hydrolyzed vegetable protein. As always, be absolutely sure that you’re checking ingredient labels before purchasing — and certainly before you or your loved ones consume — any food product. Also, pay attention to any foods that the manufacturers have labeled as “soy-free”. There are a lot more now than there used to be, and this is the easiest and most simple indicator that you’re in the clear on a food or drink product. Of course, there are plenty of common soy-free suggestions out there, including all fruits and fruit juices, plenty of cereals, most beverages, and tons of seasonings. If you’re already familiar with meal replacement shakes, you know that the best options are packed with calories and nutrients that are designed to serve as a substitute for entire meals that you might cut out of your daily routine. And they’re especially helpful if you lead a busy, on-the-go life and don’t want to go through the drive-thru multiple times a week. Of course, the soy-free element complicates things somewhat. But even still, there are plenty of soy-free meal replacement shakes for weight loss out there. You just need to know where to look. As a general rule when it comes to meal replacement shakes, we’re looking for something that is high in both calories and protein. Remember, you’re replacing an entire meal with a drink, so it better have enough calories to ensure that you have enough energy to get through your day, as well as to keep your stomach full and your appetite suppressed. Protein helps your body build and maintain lean muscle, as well as assist in the recovery process following workouts. As we’ll see momentarily, there is quite the range among meal replacement shakes when it comes to how much protein is included in each product. 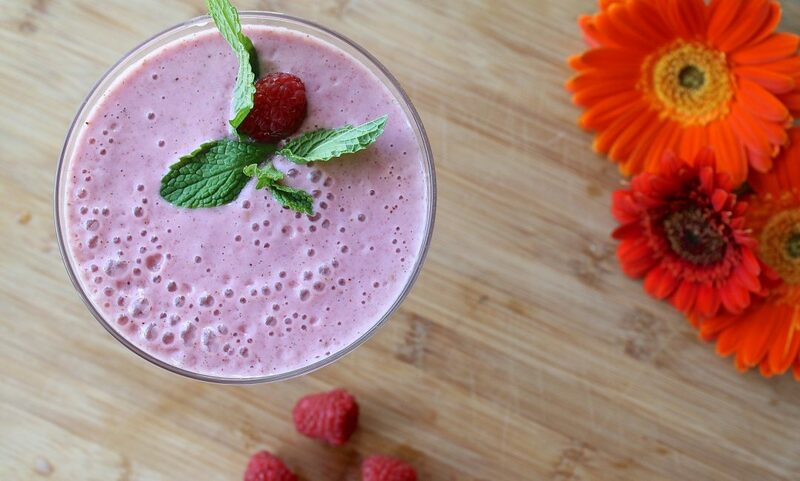 Without further ado, let’s take a look at the best soy-free meal replacement shakes for weight loss. In terms of soy-free meal replacement shakes, Ample Meal takes the gold medal for taste. It has a creamy, frothy flavor with a hint of sweetness and just enough vanilla and cinnamon. Elite Protein is a plant-based protein powder that is USDA-certified organic and, of course, soy-free. It’s also dairy-, gluten-, wheat-, and GMO-free. Huel is a nutritionally complete and 100-percent vegan meal powder derived from a blend of pea and rice protein, flaxseed, coconut, sunflower seeds, and oats. BioTrust’s grass-fed whey protein powder is not only soy-free, gluten-free, and non-GMO, but it also qualifies as a keto meal replacement shake. The formula is low-glycemic, meaning that your body will slow down when it processes LyfeFuel, allowing all of the best parts of the powder to be absorbed into your system. 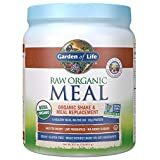 Each serving of Garden of Life’s Organic Shake & Meal Replacement includes 20 grams of clean, organic plant protein with a whopping 44 superfoods. Orgain Organic Nutritional Shake is an all-in-one option on the soy-free meal replacement shake market. Products from 310 are loaded with plenty of proteins, which make this a top-of-the-line product to consider if you’re worried about hunger control. 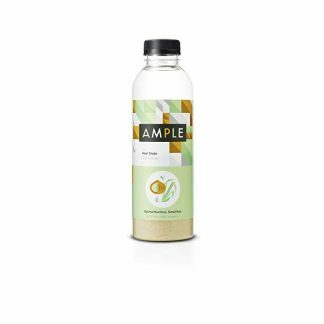 Our first meal replacement that is soy-free is from Ample Meal. 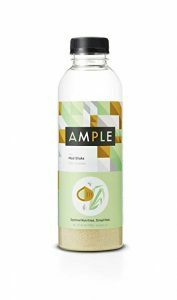 Ample Meal’s product offerings include ingredients that are 100 percent natural, non-GMO and completely free of BPA and artificial sweeteners. Of course, they’re also both gluten and soy-free. Plus, everything included in Ample Meal will fit the bill of an organic, diabetic meal replacement shake. The inclusions are 54 percent premium, healthy fats and includes 27 percent protein. The shake is 400 calories and, shockingly, only includes four grams of sugar. Instead of coming in a big, bulky container or as a ready-to-drink shake, Ample Meal will arrive at your door in pre-portioned containers to which you’ll just need to add cold milk or water in order to make your delicious beverage. Ample Meal checks all the boxes: it tastes great, is easy to make, has plenty of additional health benefits, and it is completely, 100 percent soy-free. Of all the options on this list, Ample was No. 1 without any real downsides. It includes organic hemp protein powder, organic chia seed, and organic pea protein powder — a crazy 25 grams of plant-based protein. There are also three grams of organic fiber within each serving of Elite Protein. The organic vegan protein is key to how easily the Elite Protein product is digested and the extent to which it encourages muscular recovery. You won’t experience any bloating or uncomfortable stomach issues when using this product. 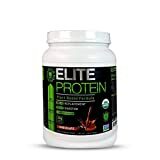 Elite Protein product is great-tasting and avoids any chalky or gritty aftertastes. It comes in a small tub (14 servings) or a large tub (30 servings) in either chocolate or vanilla, and as an added bonus, it’s easy to make: you’ll be able to fix yourself a delicious shake in just 30 seconds. In addition to being soy-free, Huel is high in protein and fiber, ensuring that your muscle growth and maintenance will stay true and on track. About 30 percent of the energy in Huel comes from fat and proteins, with eight grams of fiber included per 100 grams of the powder. Huel comes in a powder that can be mixed with cold water. The starter kit even includes a scoop and a shaker in addition to two pouches of Huel powder, each weighing 3.85 pounds. The majority of the energy provided by Huel comes from carbohydrates and combined with substantial amounts of protein and healthy fats that come from real food (no additives or preservatives), it’s the perfect blend of nutrients for your next soy-free meal replacement shake. Huel’s value is hard to overlook, and it was an easy No. 2 on our list. It is certified hormone-free (no rBGH or rBST) and includes zero artificial sweeteners, flavors, and colors. 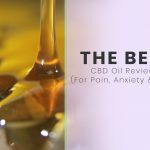 All of their claims have been verified by an independent, third-party lab that has also worked to ensure potency and purity. The 24 grams of protein included in BioTrust’s formula are derived from humanely-treated, pasture-raised, grass-fed cows. The entire protein blend is designed to be time-released, ensuring that your body reaps the maximum benefits from the product -- as well as working to curb your appetite. 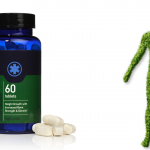 Also, a bonus: BioTrust includes their own proprietary, breakthrough enzyme blend called ProHydrolase that contributes to the absorption of the product that keeps you from experiencing stomach problems and bloating. The product can be purchased in eight different flavors, including milk chocolate, peach mango, chocolate peanut butter, vanilla, and more. The LyfeFuel Daily Essentials Shake includes 25 whole food ingredients — that means absolutely nothing artificial is included. There are 18 grams of plant-based protein and just two grams of all-natural sugar per serving. The proteins include an impressive balance of pea isolate and sprouted brown rice protein combined with a host of probiotics and raw, organic superfoods. The nutrients in LyfeFuel are a combination of a variety of vitamins and minerals, including vitamins B12, D3, K2, and magnesium. If you’re looking for the best soy-free meal replacement shakes for weight loss, then LyfeFuel has to come close to topping that list. Garden of Life offers a raw, USDA-certified organic, plant-based protein powder in four different flavors: vanilla, vanilla chai, lightly sweet, and chocolate. This product is, of course, soy-free, as well as free of gluten and dairy. It’s a kosher and vegan product and includes absolutely no GMOs. Each serving of Garden of Life’s Organic Shake & Meal Replacement includes 20 grams of clean, organic plant protein with a whopping 44 superfoods. Among those superfoods are fruits, veggies, organic grass juices, and six grams of fiber. In addition to the huge amount of superfoods, you’ll enjoy 21 vitamins and minerals, as well as a surprising amount of probiotics. You’ll have your choice to order Garden of Life in a small, 16-ounce container, a larger container of 32.1 ounces, or in a similar amount but divided into individual serving packets. If you’re busy and on-the-go, this option is only slightly higher in cost and might be the best options. 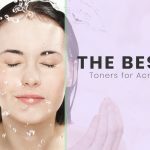 As with some of the other products on this list, it is also gluten-free, non-GMO, and kosher and free of all artificial colors, flavors, and preservatives. Unlike the first five products we’ve reviewed to this point, Orgain comes as a ready-to-drink shake — simply grab-and-go without any mixing needed. 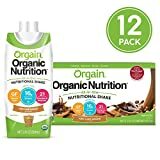 Each serving of Orgain has 16 grams of organic protein, derived from whey protein and grass-fed milk protein concentrates, and two grams of dietary fiber. It also has 21 vitamins and minerals, plus 10 fruits and vegetables are in the mix. There are 255 calories per serving, which puts it squarely in the middle of the meal replacement shake pack. You should be fine enjoying one of these without worrying too much about supplementing with other snacks or side items, but it’s something to keep an eye on. You can enjoy Orgain’s products in three flavors, including iced cafe mocha, bananas & cream, or strawberries & cream. It’s a great option for breakfast, but can be the perfect on-the-go meal replacement shake at any point in your busy day. This sugar-free, gluten-free, and soy-free product includes 15 grams of Tri-plex proteins, which include pea, brown rice, and hemp protein. All of these ingredients, plus a high concentration of fiber, work together to aid in lean muscle development. There are no artificial sweeteners or flavorings included in 310. 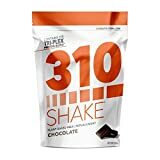 While the high amount of protein included in 310 will certainly help when it comes to suppressing hunger, there are only 90 calories per serving. Depending on the person, this could have an effect on both energy and a feeling of fullness. If this is something you’re concerned about, give it a try and prepare to supplement with something small on the side just in case. Before you decide on a purchase, make absolutely sure that the shake that you’ve chosen is indeed soy-free. We have compiled a great list, but you’ll want to double- and triple-check that everything is good to go. The next most important thing to note is the number of calories and protein included. Remember, calories and protein are what will give you a sense of fullness and keep you from snacking in between meals. There are plenty of options on here in the high-200 calorie range or higher, but there are also some lower-calorie options. Still delicious, of course, but you may need to plan on enjoying some fruit to supplement those meal replacement shakes, soy-free or not. Also, don’t ignore the multitude of additional benefits that many of these products offer. Outside of calorie count and protein levels, plenty of soy-free meal replacement shakes for weight loss include extra benefits, including superfoods, real fruits and veggies, 20-plus vitamins and minerals, and even potent probiotics. Don’t pass up an opportunity to provide some ancillary benefits to your body as you work to improve your overall health and future outlook. 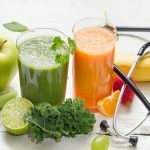 Consulting your doctor is an absolute must before you move forward with any changes to your diet or workout regimen — and that would certainly include implementing a soy-free diet or a meal replacement shake as a regular feature in your diet. You must be sure that you’re body is getting enough calories, and that’s doubly true if you’re increasing your workouts in either frequency or intensity. Your doctor will make sure that you’re checking all of the necessary boxes, so be sure that he or she is in the loop. 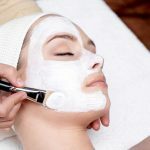 Again, there are plenty of outstanding options on this list and elsewhere, although we believe that we’ve found the best eight options out there. Make sure that you do all of your homework and that your physician is in the know, and then, go for it!